A Closed Circuit TV (CCTV system) allows you to protect your business’s property and assets from theft and protect your employees from those who may wish to harm you. At State Systems Inc., we can professionally design, install, inspect, and maintain CCTV systems customized for your environment and unique needs. Closed-circuit television systems utilize cameras and digital recording devices to monitor activity in specific locations with images being transmitted from the camera to the recorder. State Systems Inc. offers a wide variety of solutions, from very basic to cutting-edge technology used in high-end environments. To keep up with progressing technology, our clients have the ability to view the cameras and recorded images over their existing network or over the Internet. For CCTV services in your Mid-South building, contact State Systems Inc. or call 866-308-5701 today! 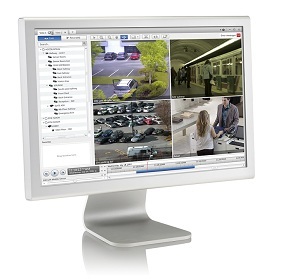 State Systems Inc. can expertly design and install a custom CCTV network security system in your Mid-South business. Whether you need a basic security system consisting of motion sensors or a more elaborate system including wireless services and panic switches, State Systems Inc. allows total customization, giving you the ability to cover your entire building or strategically protect entrances and key areas. 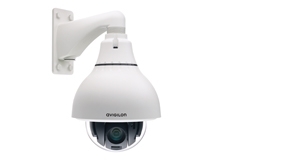 A variety of user programming options makes this CCTV installation a perfect solution for your company or organization’s specific needs. State Systems Inc. offers top-of-the-line CCTV products, access control, intrusion detection, and central station monitoring services to complement any system or application for businesses throughout the Mid-South. State Systems Inc. can design and engineer a solution for your needs. We provide new installations, upgrades, and total system renovations while staying within your budget. Contact us today to schedule an estimate. Call 866-308-5701 for CCTV services. We serve Tennessee, Arkansas, and Mississippi! In order to properly protect your building and serve its full functions, your CCTV system has to be in working order at all times. As a qualified CCTV network service provider, we know that continued maintenance on your system is very important, whether you have a modern digital system or an older, analog system. If you need CCTV network maintenance in the Mid-South, call State Systems Inc. today! At State Systems Inc., we can maintain and repair most CCTV network systems, no matter their age, condition, model, or make. After each CCTV network inspection, our CCTV experts will provide you with a full report indicating all the checks and repairs carried out on your system. Any applicable repairs and service work will then be discussed and agreed upon prior to our work being carried out, so you’ll never have to worry about surprise hidden costs. Our CCTV inspection technicians don’t just give your cameras a quick clean – we carry out a complete checklist of maintenance on each camera, including testing the lens focus, iris adjustment, camera settings, wiring condition, physical condition, and more. Schedule CCTV services for your commercial building! Call 866-308-5701 or contact our low voltage systems and structured cabling company today! Contact us for a quote or more 866-308-5701 information about our CCTV installation, maintenance, products, and services. In addition to CCTV services, we also offer a wide array of services for structured cabling systems, total integration systems, video surveillance systems, and so much more! To find out more about our services in maintaining and repairing CCTV network systems, contact us online or call 866-308-5701.